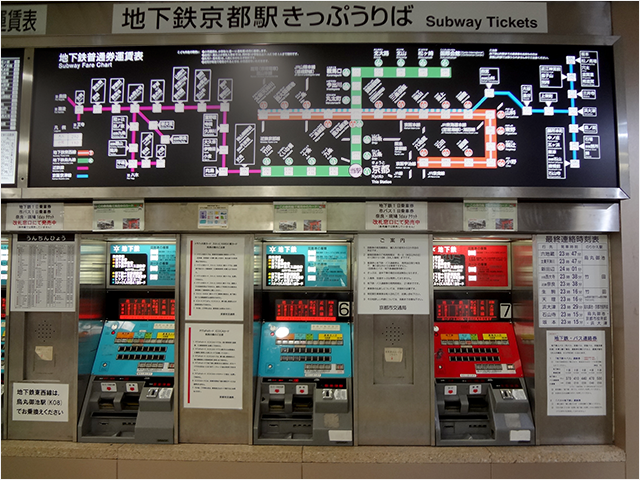 The system of buying tickets and riding trains is basically the same at Subway Karasuma Line and Tozai Line, JR (West Japan Railway), Keihan Railway, Hankyu Railway, and Kintetsu Railway. ※ Images in this page are taken at the subway. 1. Check the fare map to find out your fare. Fare maps are either above or beside the ticket machines. 2. 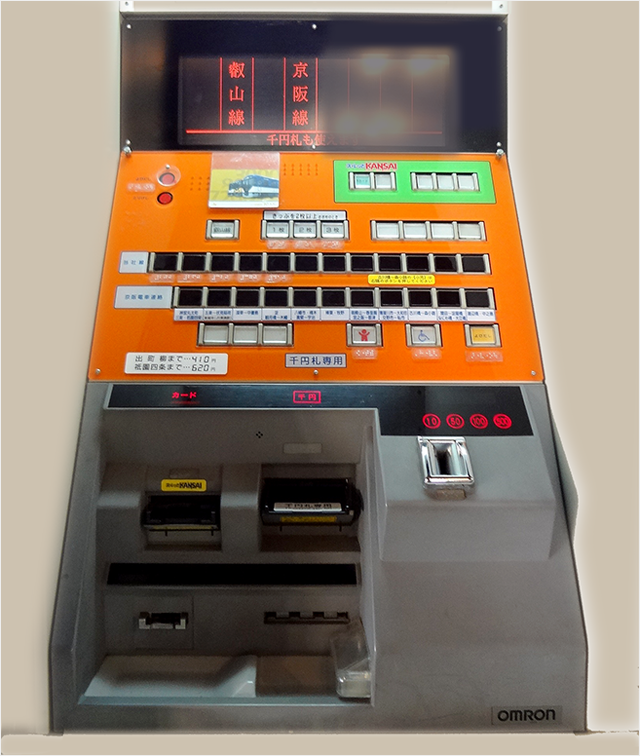 Insert money in the slot for either the push button or the touch panel ticket machines. After the fares are shown, press the fare matching your destination. 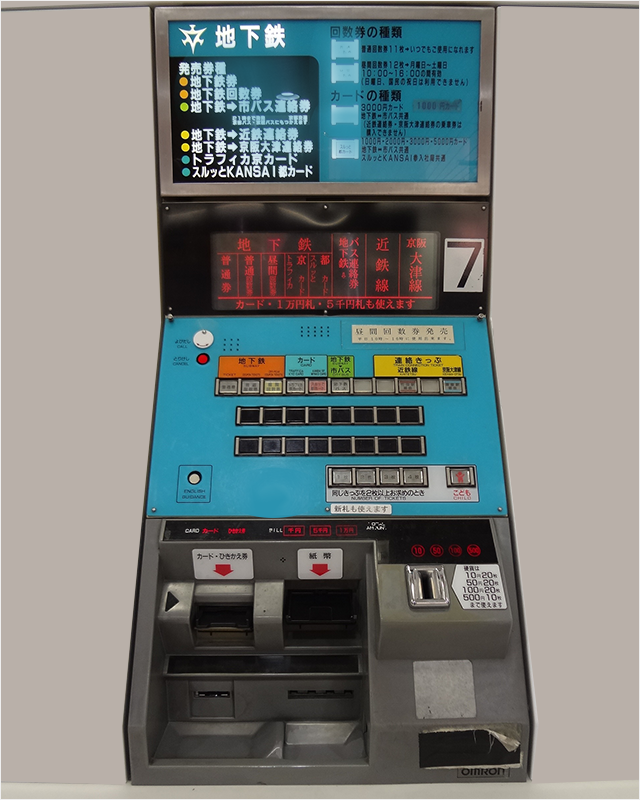 Some machines have English menu buttons. 3. 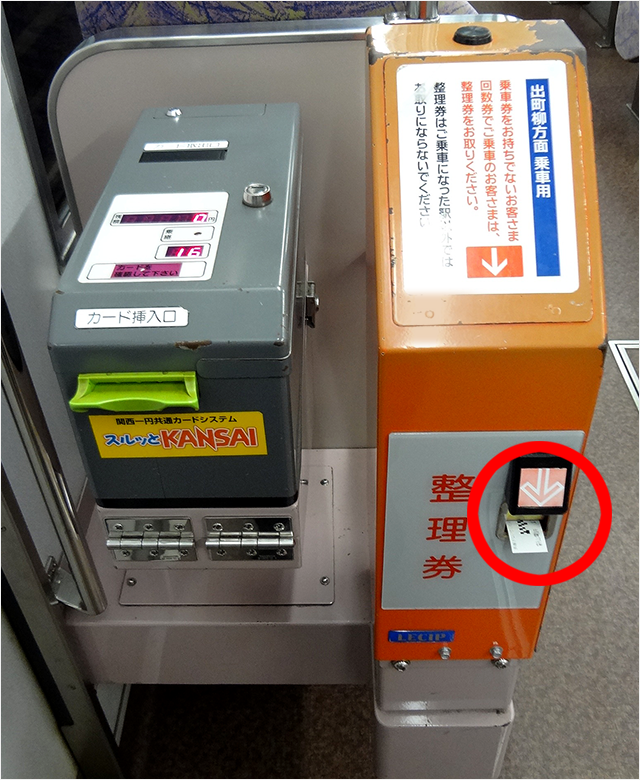 Insert your ticket into the slot at the right side of the ticket gate and pass through the gate. Remember to pick your ticket up at the other end. 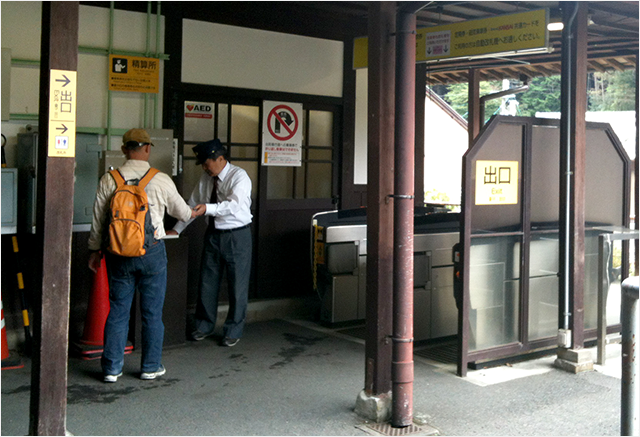 Note that some gates only have IC card readers with no slots for tickets. 4. Go to the platform and get on the train. The digital signboards will show which platform the train will arrive. 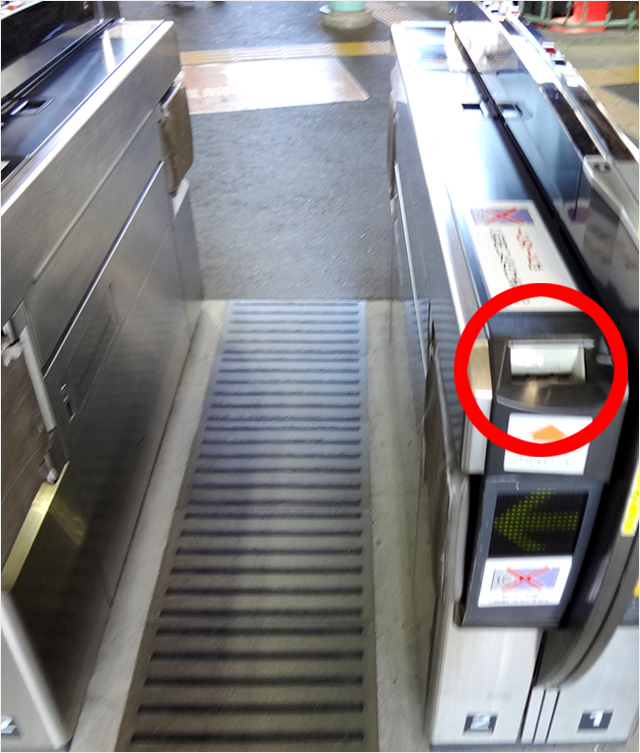 ※NOTICE: Some trains of JR do not have automatic doors. Press the button on either side of the door to open it. 5. Get off the train and go to the exit. 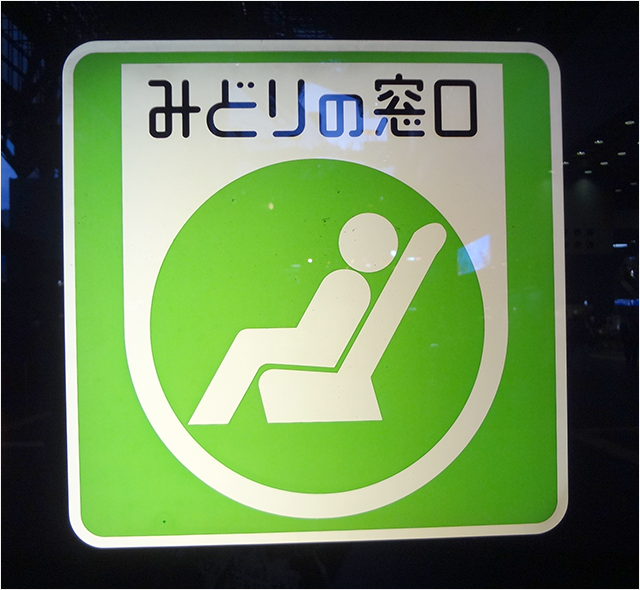 ※NOTICE If you get off at a further station, you will have to pay additional fares. If you get off at a closer station, you will not receive extra change. 6. 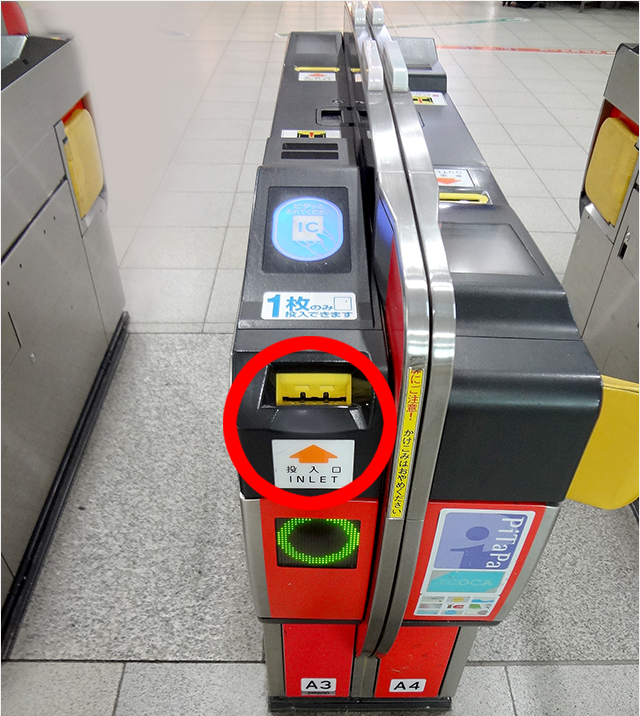 Insert the ticket into the ticket gate and pass through the gate. 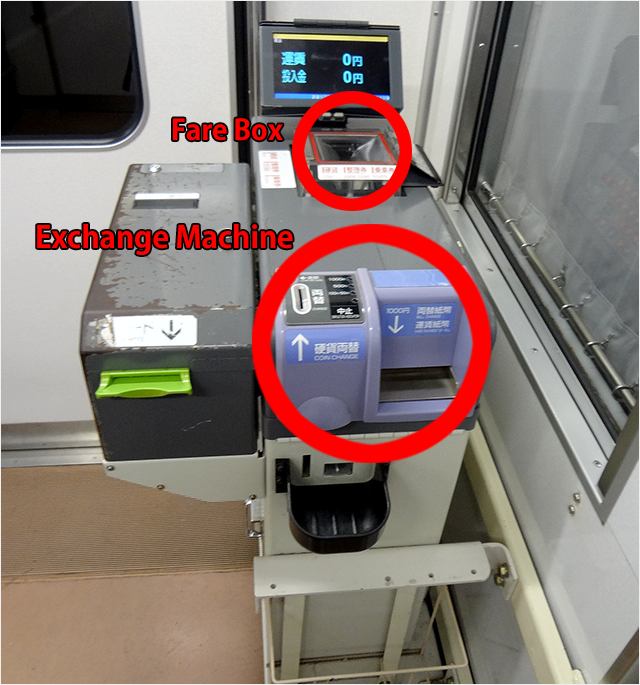 The machine will collect the ticket, unless you have transfer tickets or railway passes. 1. Get on the train through the rear door of the last carriage. Tickets are not necessary, as a fixed amount is to be paid when getting off. 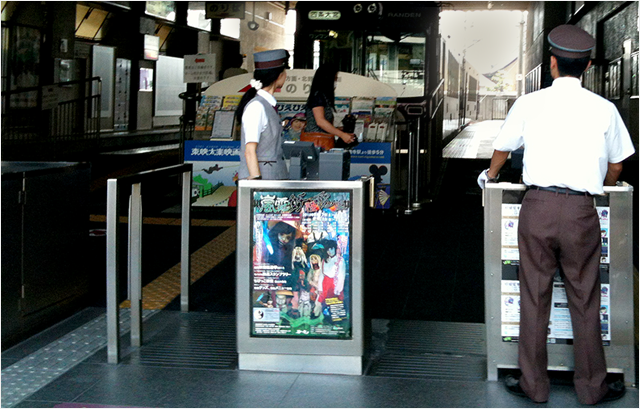 If you want to buy a ticket, purchase at the ticket machine (available only at some stations) before entering the gate. 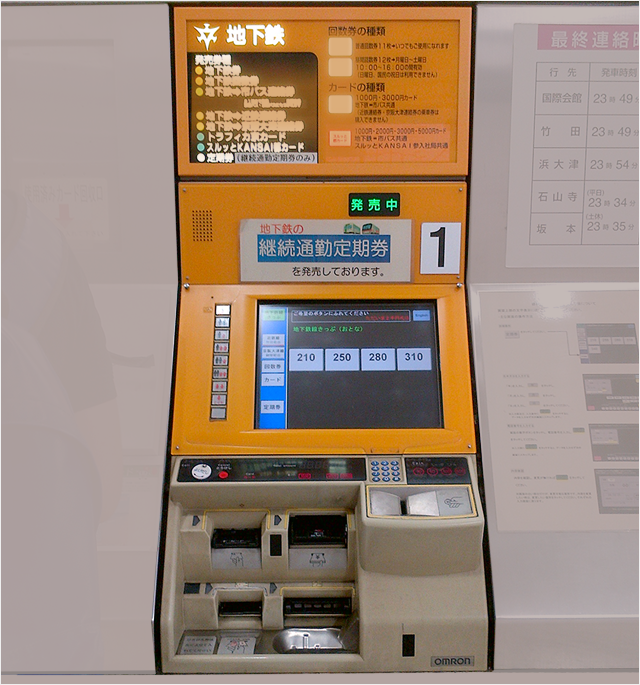 Insert the money in the ticket machine and press the button near the bottom of the machine at the push button machines (flat fare: adult 200 yen / child 100 yen). 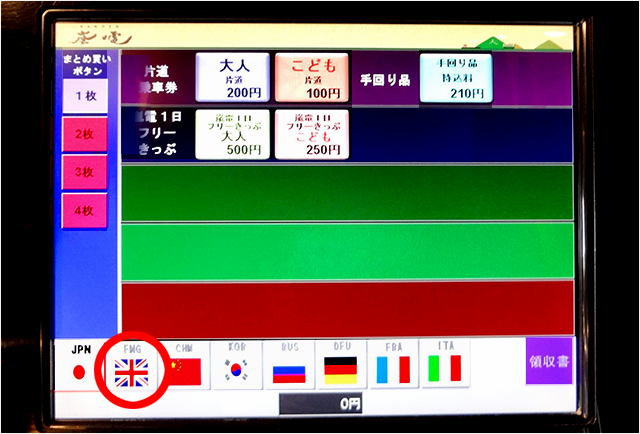 Choose the English menu and follow the instructions displayed on the screen at the touch panel machines. Since there are no automatic ticket gates, just get through the gates into the station. 2. When your destination appears on the displaying screen at the upper front of the carriage, press the stop button. Most stop buttons can be found at the side of windows as shown below. Pay the fare when you get off (adult: 200 yen/ child: 100 yen) or hand your ticket to the staff at the exit. Insert the fare in the fare box next to the front door of the first carriage when getting off. 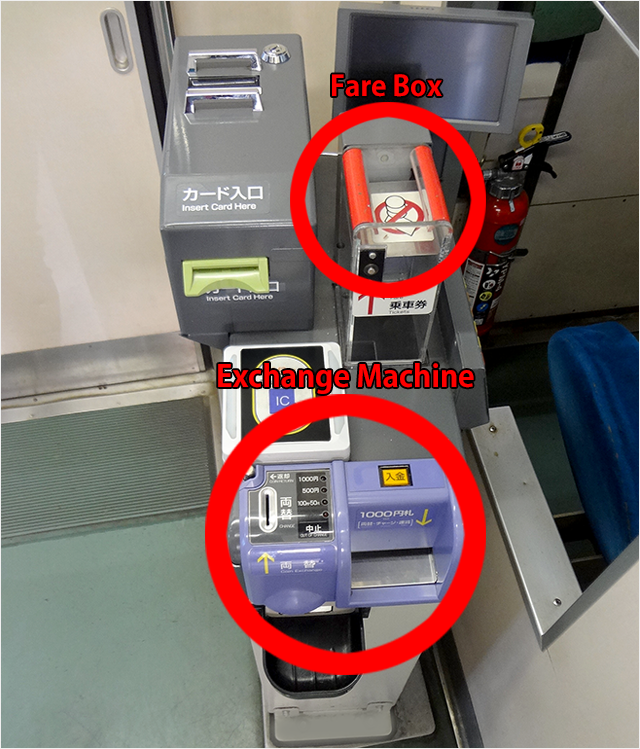 Make sure to change your money in advance and drop the exact amount in the fare box. This box only accepts the EXACT AMOUNT IN COINS; and the coin changing machine only changes money. If you pay extra money, you will not get your changes back. Check the fare and buy your ticket. Put your money in the ticket machine. 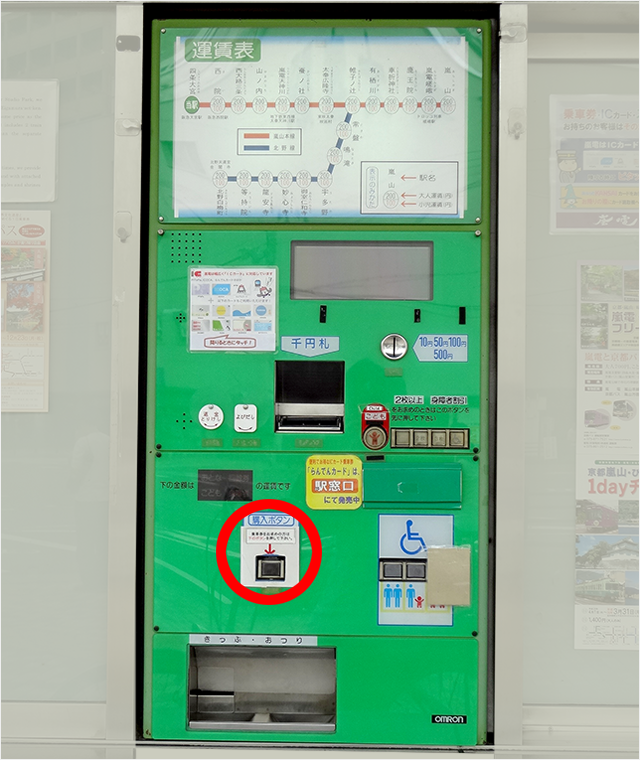 After the prices are shown, press the fare button for your destination. 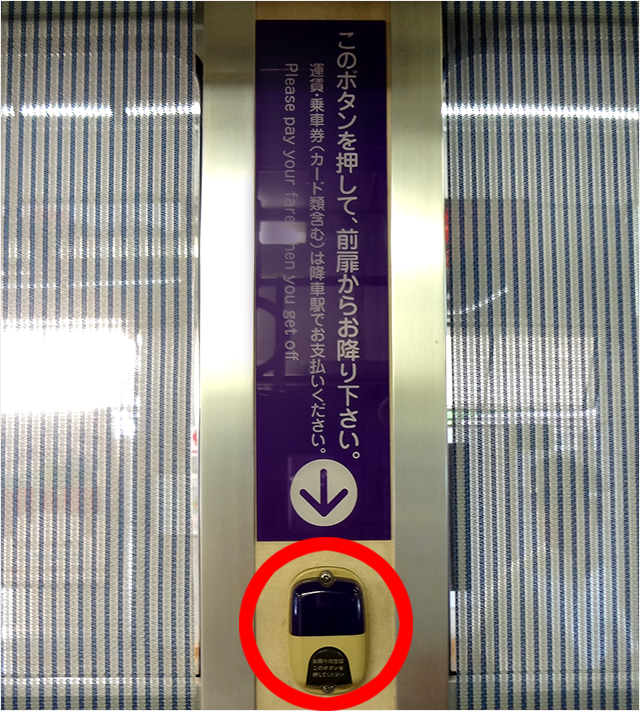 Get into the station by inserting your ticket in the slot on the right side of the ticket gate. Remember to pick up your ticket after passing the gate. If there are no ticket gates, just go to the platform. Go to the station. Before boarding, check your fare on the fare map at the platform and memorize it or write it down. The black numbers inside the circles are the fare for adults and the red numbers for children. The red circle with the white writings shows your present location. You must remember your fare since there are no writings in English on the fare table in the train. Get on the train. Be careful at some stations the back door of the first carriage would be the only door opening. Get on the train through the door at the back of the first carriage and pick up a station-name slip from the machine next to the door. 3. The displaying screen at the upper front of the carriage shows the next stop at the top, and the fare table referring to each station below. 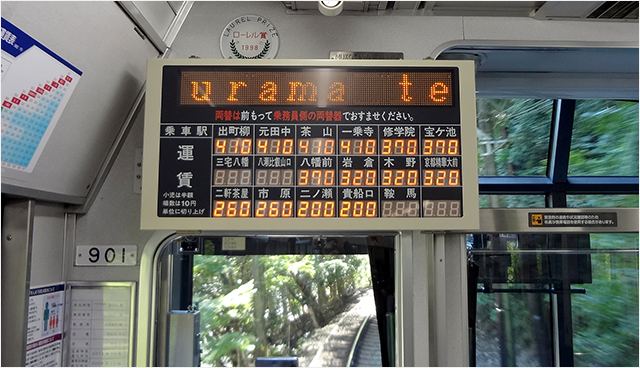 The station names are only shown in Kanji characters, but the next station is announced and displayed in English. 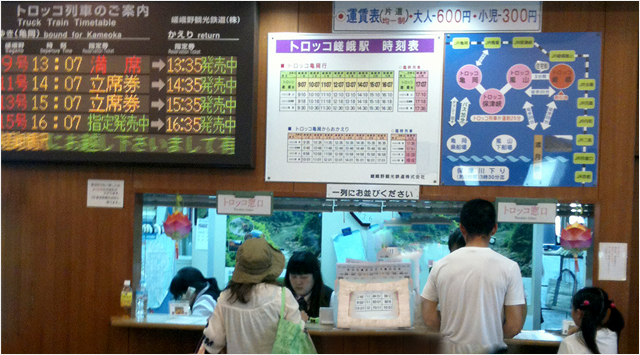 If you could not figure out which station you have board from, ask the driver or staffs at the station. Put the fare and the station-name slip into the fare box beside the front door of the first carriage when getting off. Change your money in advance. Get off the train and go towards the ticket gate. If you have a ticket, get through the ticket gate. If you do not have tickets, make your payments at the manned exit with the station-name slip. 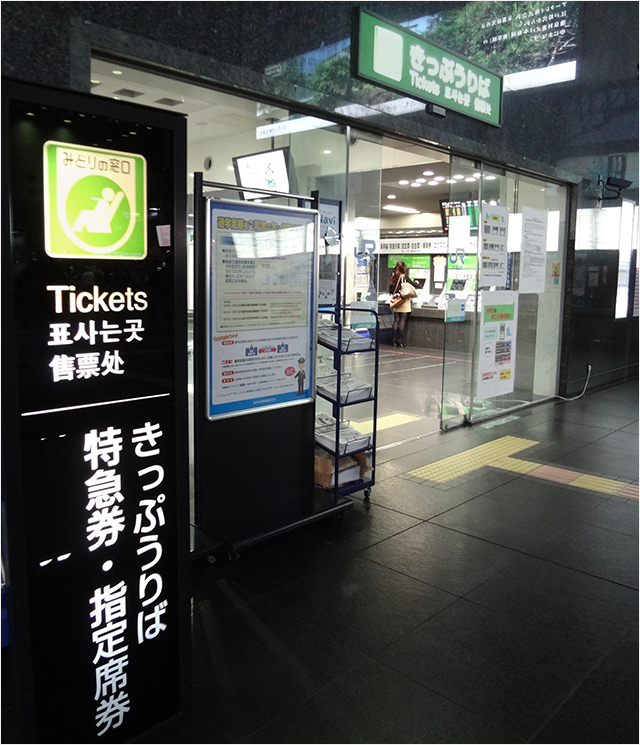 You can buy tickets in advance at JR Ticket Reservation Offices (Midori-no-madoguchi) in major JR stations or at major travel agencies nationwide. 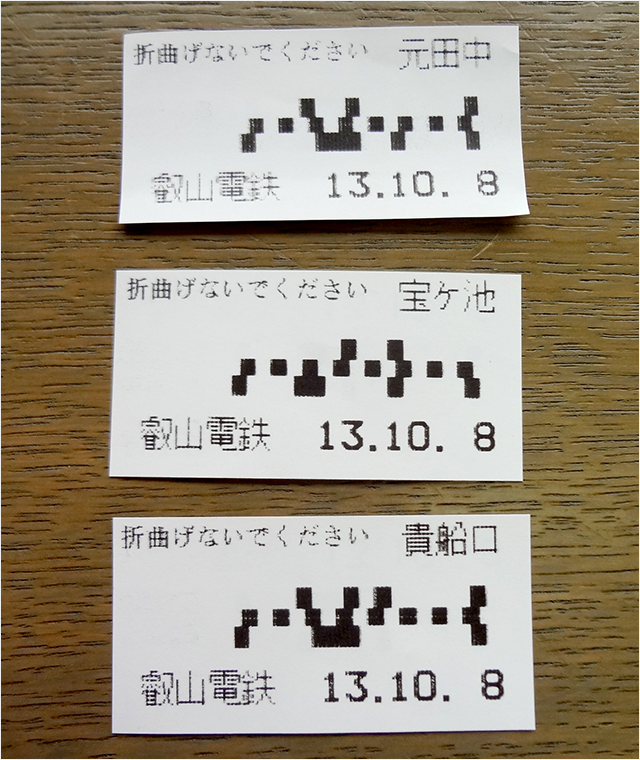 At-the-door tickets are available at Saga, Arashiyama, and Kameoka Tram Stations (one-way flat fare: adult 600 yen/ child 300 yen).